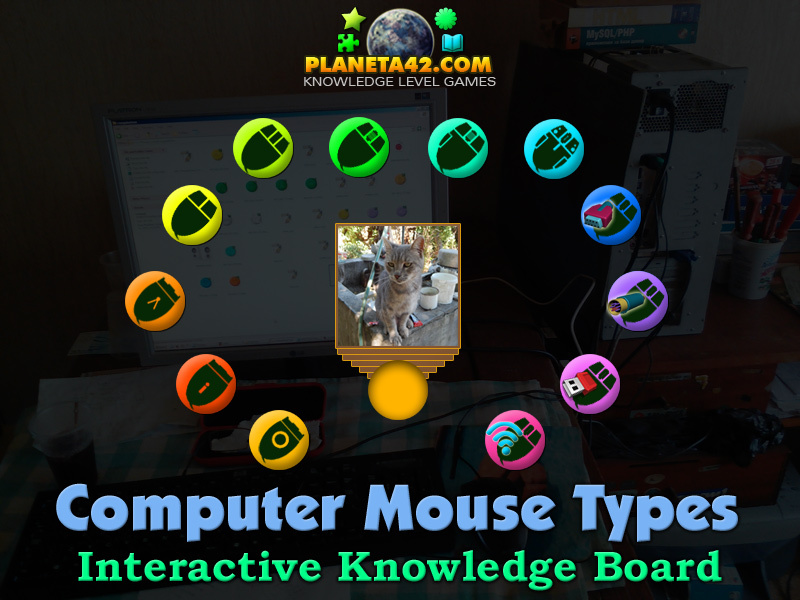 12 computer mouse types in a fun information technology class game. by mechanics and connection. Drag and drop the round pictures and give every cat a mouse. A small IT Class mosaic puzzle for desktop computers, laptops and tablets, which may be played in the web browser. The IT Knowledge Board include 12 stylized pictures of mouses to play with. What types of computer mouses are there? What were the first mechanical mouses? Is the computer mouse an input peripheral device? How to play Computer Mouse Types. 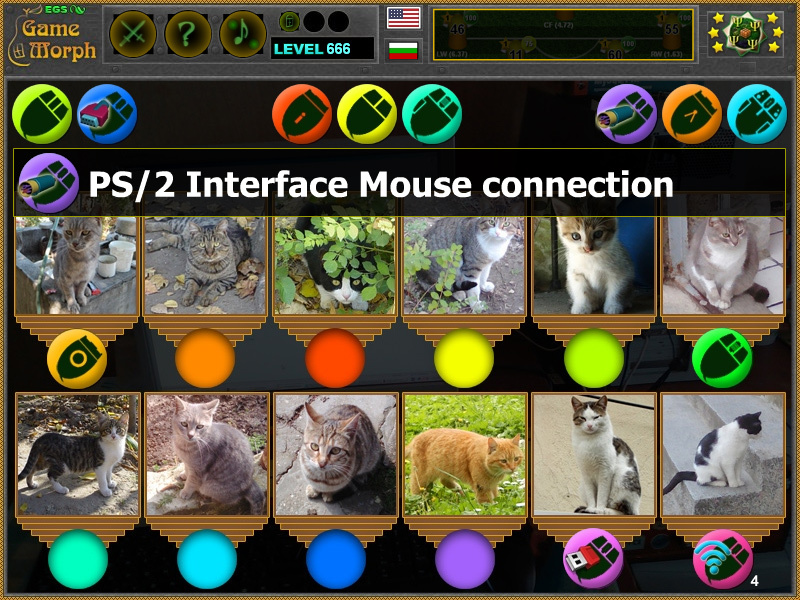 Drag and drop the mouse round pictures over the empty socket under the cats. The computer mouse is the simplest input peripheral device to make the computer to do something. The mouse itself have its own history of development, beginning with the first square rolling mouse. What is good to know is that you can increase the speed and click sensitivity of your mouse. Just go to the control panel and look for a mouse icon.